Peer-to-peer interaction using computer-mediated communication (CMC) would appear to be a promising source of timely and cost-effective student support, but little empirical evidence regarding actual participant support behaviour has been presented (Lee, 2000). This paper reports a study of the occurrence of 13 online strategies defined as “supportive,” according to the categorizations found in an instrument called the Transcript Analysis Tool (TAT). The corpus used in the study consisted of three transcripts produced by students (graduate degree and professional development diploma candidates) engaged in course-related CMC conferencing. Analysis of the transcripts generated by the three groups showed the following: The support strategies most frequently used by the three groups were referential statements (statements which made reference to others’ previous comments; TAT type 2B), signatures, greetings, and horizontal questions (open-ended questions which invited negotiation of a plausible answer; TAT type 1B). There was some variability among the groups in the frequency of use of referential statements, horizontal questions, emoticons, and invitations to others. High- and low-support groups differed from each other in their use of referential statements, signatures, greetings, horizontal questions, rhetorical questions, and humour. As an examination of the social element of three communities of inquiry, the study described how members of these groups attempted to connect with one another interpersonally, using asynchronous conferencing, on topics related to the conceptual content of the courses. The paper concludes that while in this case the above behaviours were the means most often used to support and encourage interaction, further examination of online support behaviours and strategies is needed, especially in relation to valued outcomes such as persistence, greater motivation, less stress, and, ultimately, enhanced learning. Fahy, P. (2003). Indicators of Support in Online Interaction. 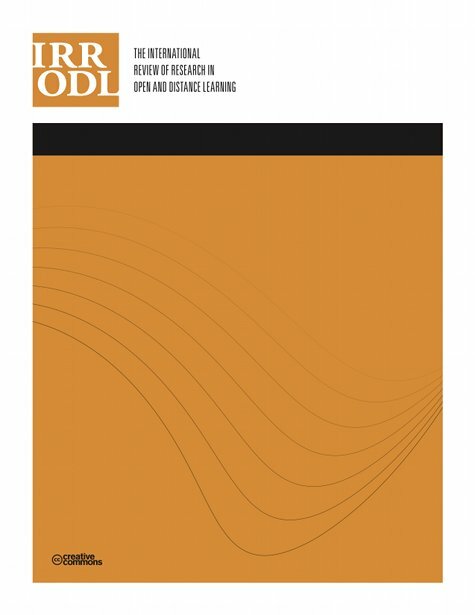 The International Review of Research in Open and Distributed Learning, 4 (1),. Athabasca University Press. Retrieved April 20, 2019 from https://www.learntechlib.org/p/49541/. Allen, J. (2002). Addressing Fragmentation: Building integrated services for student support. ERIC Documents: ED457431. Burge, E. (2000). Using learning technologies: ideas for keeping one’s balance. Open Praxis 1, 17 – 20. Cannell, L. (1999). Review of Literature: Distance education association of theological schools. Unpublished paper. Carnwell, R., and Harrington, C. (2001). Diagnosing student support needs for distance learning. Paper presented at the 41st Annual Meeting of the Association for Institutional Research. Long Beach, June 3-6. ERIC documents: ED457735. Carrier, G., and Schofield, M. (1991). Student support and CMC in distance education. Canadian Journal of Educational Communication 20(1), 45 – 54. Commonwealth of Learning. (1993). Student Support Services: towards more responsive systems. Vancouver: Author. DeSanctis, G., and Gallupe, R.B. (1987). A foundation for the study of group decision support systems. Management Science 33(5), 589 – 609. Fahy, P.J., Crawford, G., and Ally, M. (2001). Patterns of interaction in a computer conference transcript. International Review of Research in Open and Distance Learning, 2(1). Retrieved July 8, 2002 from: http://www.irrodl.org/content/v2.1/fahy.html. Feenberg, A. (1989). The written world: on the theory and practice of computer conferencing. In R. Mason and A. Kaye (Eds.) Mindweave (P. 22-39). Toronto: Pergamon Press. Garrison, D.R., Anderson, T., and Archer, W. (2001). Critical thinking, cognitive presence, and computer conferencing in distance education. The American Journal of Distance Education 15(1), 7 – 23. Garrison, D.R. (2002). Cognitive Presence for Effective Online Learning: The role of reflective inquiry, self-directed learning and metacognition. Presented to the Sloan Asynchronous Learning Network Invitational Workshop, September. Lake George, NY. Herring, S.C. (1996). Two variants of an electronic message schema. In Susan C. Herring (Ed.) Computer-mediated communication (P. 81-106). Philadelphia, PA.: John Benjamins. Johnson, M.N. (2001). Student use of computer-mediated communication in a distance education course. Hawaii WebNet World Conference in the WWW, October 24-30. ERIC documents: ED448723. Juler, P. (1990). Promoting Interaction; Maintaining Independence: Swallowing the mixture. Open Learning 5(2), 24 – 33. Lee, J.Y. (2000). Current Status of Learner Support in Distance Education: Emerging issues and future research agenda. Annual Proceedings of Selected Research and Development Papers, 23rd National Convention of the Association for Educational Communications and Technology, Denver, October 25-28. ERIC documents: ED 455815. Luedtke, C.B. (1999). Distance Education Programs in Texas Community and Technical Colleges: Assessing student support services in a virtual environment. Unpublished Master’s thesis. Southwest Texas State University. ERIC documents: ED 438852. McInnis-Rankin, E., and Brindley, J. (1986). Student support services. In I. Mugridge and D. Kaufman, D. (Eds.) Distance Education in Canada (P. 60-80). London: Croom Helm. Moore, M.G. (1989). Three types of interaction. American Journal of Distance Education 3(2), 1 – 6. Retrieved November 9, 2001, from: http://www.ed.psu.edu/acsde/ajde/ed32.asp Moore, M.G. (1991). Editorial: Distance education theory. The American Journal of Distance Education 5(3), 1 – 6. Mugridge, I., and Kaufman, D. (1986). Distance Education in Canada. London: Croom Helm. Purnell, K., Cuskelly, E., and Danaher, P. (1996). Improving distance education for university students: issues and experiences of students in cities and rural areas. Journal of Distance Education 11(2), 75 – 101. Rezabek, R.J. (2002). A study of the motives, barriers and enablers affecting participation in adult distance education classes in an Iowa community college. Unpublished doctoral dissertation, University of Northern Iowa, 1999. ERIC documents: ED 463774. Saltiel, I.M., and Russo, C.S. (2001). Cohort programming and learning. Malabar, FL. : Krieger. Sewart, D. (1993). Student support systems in distance education. In B. Scriven, R. Lundin and Y. Ryan (Eds.) Distance education for the twenty-first century. Selected papers from the 16th World Conference of the International Council for Distance Education, Thailand, November, 1992. Australia: International Council for Distance Education, Queensland University of Technology. Stringer, R.A., and Uchenick, J. (1986). Strategy traps. Toronto: Lexington Books. Tait, A. (1996). Conversation and community in open and distance learning. In J. Frankl and B.O’Reilly (Eds.) 1996 EDEN Conference: Lifelong learning, open learning, distance learning. Poitiers, France: European Distance Education Network, 12 – 16. Tait, A. (2000). Planning student support for open and distance learning. Open Learning 15(3), 287 – 299. Tobin, J. (1995). Evaluation and research frontiers: What do we need to know? In J.M. Roberts, and E.M. Keough (Eds.) Why the information highway? Lessons from open and distance learning (P. 201-225). Toronto: Trifolium Books Inc.
Walther, J.B. (1996). Computer-Mediated Communication: Impersonal, interpersonal and hyperpersonal interaction. Communication Research 20(1), 3 – 43.